Dolls For All would not be possible without our wonderful partnerships that have enabled us to bring joy into the lives of others. CASA, or Court Appointed Special Advocates, is an organization with the goal of transforming the lives of every abused, neglected, or underprivileged child in the foster care system by supporting them and helping them thrive in a new home. The CCISD school district has been one of our most supportive partners through the Dolls For All journey. Through our connections with elementary school counselors and district wide employees, we have given dolls to students in CCISD each year. Generation One is an organization created for the sole purpose of eliminating poverty in the third ward of Houston. By working with the future generation of Houstonians, Generation One is changing children's lives through loving the youth of Houston. The Houston Child Advocacy is working to break the cycle of child abuse. By standing up for children who have been in situations of abuse, Child Advocates are changing children's lives. East Texas Dream Center is an organization that houses women and children in times of need and feeds the hungry and homeless by partnering with the local community. Their ultimate goal is to help people grow into self-sufficient, contributing members of society. Ms. Kathy Thomason and Ms. Rose Hardouin of Madisonville have partnered with Dolls For All for three years. 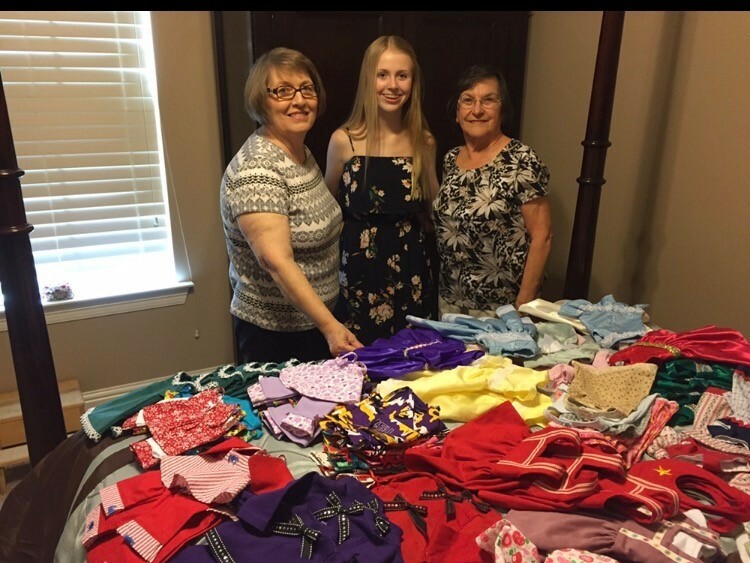 They have previously hand sewn over 300 American Girl Doll outfits and donated them to Dolls For All along with hand made accessories and shoes. The Drip Place is a Vitamin Bar in Mandeville, Louisiana that has previously partnered with Dolls For All by taking donations in-store and having a information pamphlet on Dolls For All by the donation box.